The end game. Black attacks yellow to begin a break. You ask someone if they would like to play a round of croquet. Surprised, they mentally go through a brief recollection of their youth at family gatherings playing a cutthroat game: kids and adults smashing balls in the bushes, down the driveway, every man for himself. Well it was fun for some “bullies”, not so much fun for others. That’s probably their last recollection of backyard croquet. They shake their head, not interested. Don’t give up! 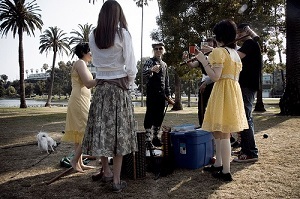 A young group of Angelinos out for an Echo Park Croquet Club afternoon party. Today, the basic Backyard 9 wicket croquet is a team, or partner ball game totally different from those yesteryear memories. First, two balls play against two balls, Blue-Black against Red-Yellow, as singles or with a partner. If you send a ball out of bounds or go out yourself, your turn is not over but continues. And there is no carryover deadness so on each turn you are alive again on all other balls. You can concentrate on which ball you want to hit to get bonus shots to clear your next wicket or start a break. This game has all the challenges of the American six wicket game and is an aggressive fast moving game that rewards the risk takers. 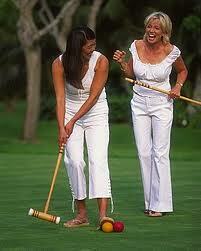 So imagine that picnic with friends, non-croquet playing friends, at least not members of your “club”. Bring along the old set. Or get yourself a new North Meadow set. You’ll get a free one year membership to the USCA 9 Wicket Group! 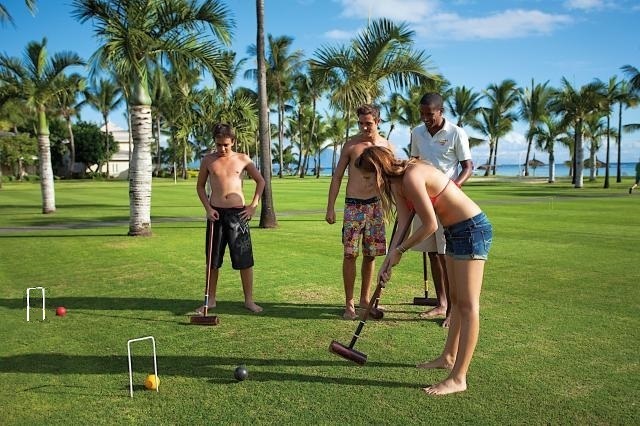 You can set up a court anywhere: a park, a sandy beach, or a well-groomed croquet court. The distance between wickets is closer so breaks are easier to maintain. A typical game lasts 45 minutes before a team pegs out. No two to three hour grueling marathons. If players start to drag out their turn trying to make a decision, start singing the Jeopardy Think theme song to get them going! Playing with a partner makes the game more interesting. You owe it to yourself; if you really enjoy the game of croquet, check out the Official 9 Wicket Rules of Croquet. Forget the Challenging Options, just play the standard game. If you want a real challenge, play with defined boundary lines and sudden stop when time expires, or add non-sequence play, like Association Croquet. Get crazy, enjoy the simple life!